The SR22 insurance proves that you have a valid car insurance, especially for drivers who have suspended licenses or their licenses are about to expire. In order for you to keep your driving privileges, you will need to provide a SR22 insurance form. If you have been asked to provide an SR22 insurance form, the first thing you need to do is get in touch with your insurance company. You can go to them directly or use the services of an agent who will get the form on your behalf. The SR22 insurance cost involved with filling such forms is very affordable and depends on the regulations of each state. However, the average cost of such SR-22 insurance quotes ranges between $25 and $50 (see an example here SR22 Texas ). The SR22 insurance form allows the department of motor vehicles to track the state the car insurance is held. Since an insurance company is required to provide information to the department about changes to their client’s policies. Furthermore, the duration of the SR22 liability insurance differs from one state to another. However, in most states, you will be required to have a valid SR22 Insurance form for a period not exceeding 3 years. If your SR22 insurance gets terminated, then you risk losing your license until you present proof of your ability to have car insurance. Applying for a liability insurance form is not expensive. In most states, the average cost is $25. This amount can go as high as $50 in some states. The SR22 fee is paid once and in some cases will vary depending on your car insurance policy. Moreover, filling SR22 insurance has the effect of raising your auto insurance rates since you will be regarded as being high risk. You will know you need SR22 insurance if you get a notification that your license is about to be suspended. In addition, you also need to obtain the SR22 insurance if you already have a suspended license. If you have been pulled over a couple of times for driving under the influence of alcohol or due to dangerous driving, then you are highly likely to file for SR22 insurance. You are often required to file for the SR22 Insurance Form whenever your license is suspended or revoked due to irresponsible actions while operating a motor vehicle. You could be ordered by the court to obtain it as a result from a DUI, or any other serious driving offense. After filling out the actual form and submitting it to your insurance company, they will either approve or decline it (in most cases they will approve.) 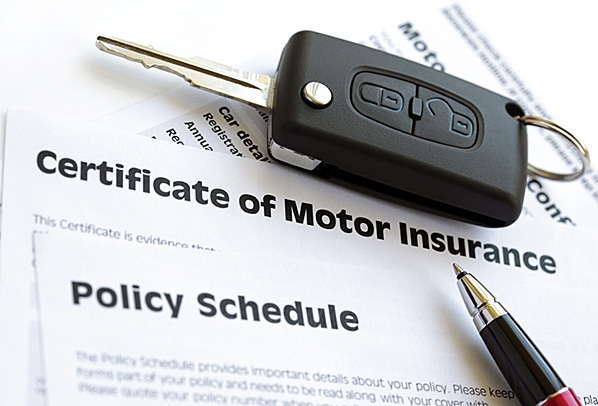 After your company approves it they are required to submit it to the state’s Department of Motor Vehicles and inform them that the auto liability insurance is in effect for the particular individual who submitted the form. As stated previously, SR22 Insurance Forms always differ upon different states. A Texas form may contain requirements such as paying a re-issue fee and showing proof of enrollment in a state-certified DUI program, while some forms will not mention any such programs at all. You must possess your SR22 insurance form for a certain period of time as proof of financial responsibility. Again, it depends on your state policy, Texas requires you to possess it for 3 years and others may only require 2 years or less. If you violate any of the terms of your auto insurance agreements then they will submit a complaint to the DMV and your license will again be suspended or revoked. You are better off following through with your first SR22 insurance form because if you end up having to go through the same process again, not only will it be irritating, but it will be a lot more expensive. When you possess one, you are considered to be a high-risk driver. 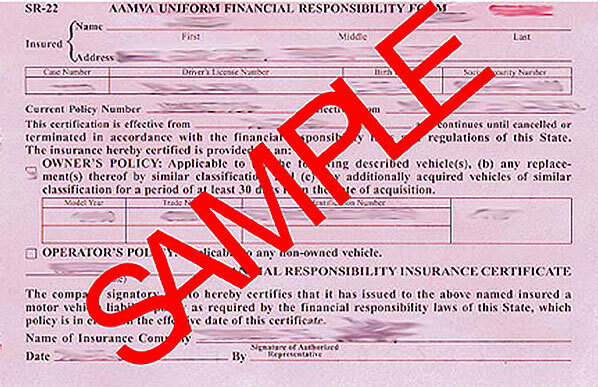 Many people confuse the cost of these forms with the cost of your actual auto insurance. Filing for a SR22 insurance form is actually not all that expensive, but considering that once you file for it you will be considered to be a high-risk driver, your auto insurance company will take notice and ultimately your rates will skyrocket. This can be avoided on a small-scale by comparing quotes and filing for your SR22 insurance form at the lowest cost. How Do I Lower Car Insurance Premium Coverage? Some common questions we frequently get are from people who can’t pay too much high premiums, but they still want to keep their car insured. How can they lower the insurance premiums without compromising vehicle insurance coverage? This is the easiest way to reduce your monthly bills on insurance premiums. Just make sure your bank account is healthy and well-fed if you plan to raise your deductibles, otherwise you may find yourself in a seriously problematic situation when you do get into an accident. One other alternative available to you is to sign up all your insurance needs with one company: from medical coverage to vehicle insurance coverage. They’ll often offer discounts to ‘loyal’ customers, so check if they have these discounts and sign up with one company. Just because you need to keep your car well insured doesn’t mean you’ll need all the possible coverage that an insurance company offers. Some coverage in your policy may be unnecessary, and may not even apply to your situation.